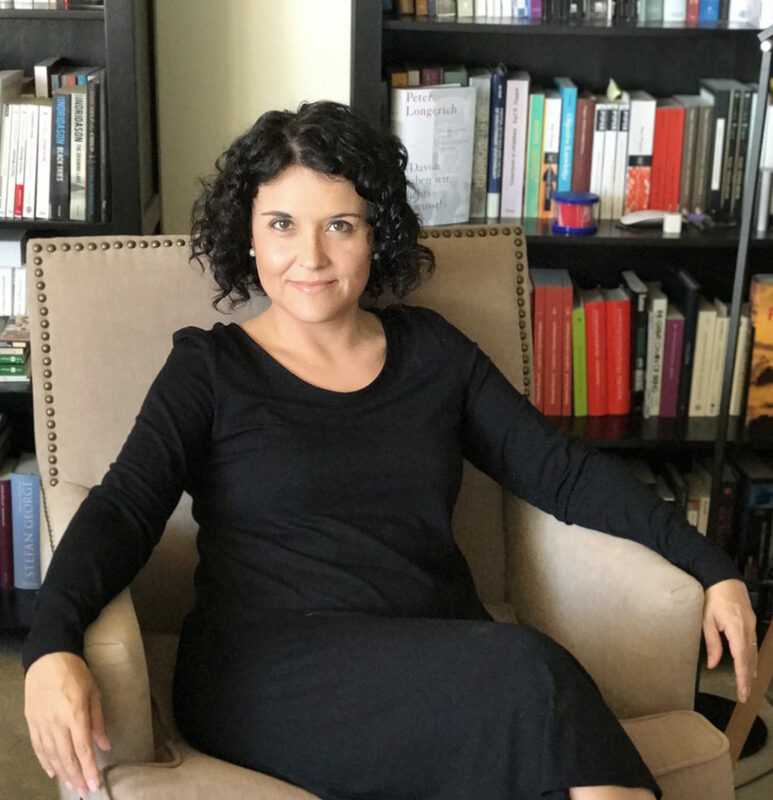 Ana Lucia Araujo, June 2017, Arlington VA, Picture: Alain Belanger. I am a social and cultural historian, working on the history and public memory of the Atlantic slave trade and slavery and their social and cultural legacies. I was born and raised in Brazil. I completed a BA in Fine Arts in 1995 (Universidade Federal do Rio Grande do Sul) and an MA in History of Brazil in 1997 (Pontíficia Universidade Católica do Rio Grande do Sul). Trained as a historian and as an art historian, I obtained a PhD in Art History in 2004 (Université Laval, Canada) and a PhD in History and Social and Historical Anthropology (Université Laval and École des Hautes Études en Sciences Sociales) in 2007. My book Shadows of the Slave Past: Memory, Heritage and Slavery (2014) examines the processes that led to the memorialization of slavery and the Atlantic slave trade in the second half of the twentieth century. I explore numerous kinds of initiatives such as monuments, memorials, and museums as well as heritage sites. By connecting different projects developed in Europe, Africa, and the Americas during the last two decades, I discuss how different groups and social actors have competed to occupy the public arena by associating the slave past with other human atrocities, especially the Holocaust. I look at how the populations of African descent, white elites, and national governments, very often carrying particular political agendas, appropriated the slave past by fighting to make it visible or conceal it in the public space of former slave societies. Public Memory of Slavery: Victims and Perpetrators in the South Atlantic, published in 2010, explores the recent phenomenon of memorialization of slavery in Brazil and Benin (West Africa). By examining monuments, memorials, and museums, I argue that the construction of the public memory of slavery in the South Atlantic is not only the result of survivals from the period of the Atlantic slave trade but also the outcome of a transnational movement that was accompanied by the continuous intervention of institutions and individuals who promoted the relations between Brazil and the present-day Republic of Benin. In Romantisme tropical : l’aventure illustrée d’un peintre français au Brésil (2008) I examine the construction of a particular image of Brazil in nineteenth-century France. I look at the various written and visual representations of Brazilian natives and black populations, through the work of the French artist François-Auguste Biard (1799-1882), in particular his richly illustrated travelogue Deux Années au Brésil (1862). The book argues that the image of Brazil conveyed in Biard’s travelogue, is part of a long French tradition of representing Brazil, which started in the sixteenth century, intensified during the nineteenth century, and persists today. I also edited multiple books: African Heritage and Memories of Slavery in Brazil and the South Atlantic World (2015), Politics of Memory: Making Slavery Visible in the Public Space (2012), Paths of the Atlantic Slave Trade: Interactions, Identities (2011), and Living History: Encountering the Memory of the Heirs of Slavery (2009). I also co-edited the volume Crossing Memories: Slavery and African Diaspora (2011). I also believe in public scholarship. I am active on Twitter, Tumblr, and Googleplus, where I created and maintain the hashtag #slaveryarchive in order to follow news and initiatives related to the study of Atlantic slavery in the past and the present. I also created the website A Historian’s Views: Digital Humanities and Arts in the Age of Presentism to share comments on my scholarship, and current events related to history and memory and slavery. 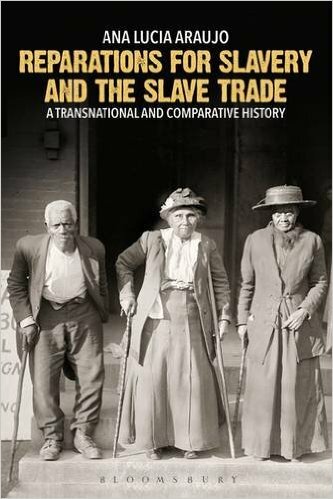 My book Reparations for Slavery and the Slave Trade: A Transnational and Comparative History is published !